Are these the cheapest-ever small-deposit mortgages? Tesco Bank launches a new range of 95% mortgages, but do they offer the best deal? Tesco Bank has launched a brand new mortgage range for people looking to buy a home with a 5% deposit. But does the banking arm of the supermarket giant offer the cheapest deals for buyers with small deposits? The bank has cut rates on some of its two and five-year fixed-rate mortgages at a 95% loan-to-value (LTV), and launched new deals at 95%, 90% and 85% LTV, paying cashback bonuses of up to £1,000 and Tesco Clubcard points on monthly repayments. But how does this compare with the other 95% mortgages on the market? Find out about the benefits and drawbacks of borrowing with a small deposit, and what your mortgage options are. Tesco Bank now offers three different 95% mortgages with two-year fixed rates and three deals for those wanting to fix for five years. The cheapest deal based on interest rate alone charges 2.99% over two years. This comes with £500 cashback, but a £995 product fee. If you want a deal with no fees but cashback, you’ll pay a significantly higher rate at 3.24%. Tesco Bank also has a two-year deal with no fees or cashback charging 3.09%. Over five years, the cheapest deal charges 3.44% and although it comes with a £995 fee, this can be paid using the £1,000 cashback the deal offers. You’ll pay 3.67% if you opt for the £1,000 cashback-only deal with no fees, while the bank charges 3.49% with no fees and no cashback. So, which deal is actually the cheapest? We’ve crunched the numbers for a £250,000 mortgage with a 25-year term to see which deal would cost you the least (and most) over the course of the introductory deal period. For the deals with fees and cashback, we’ve offset the cashback against the fees and then added the remaining fee to the mortgage. If there’s no product fee, but the deal offers cashback, we’ve taken this off the total cost over the introductory deal period. As the table shows, the combination of the lowest interest rate, along with using the cashback to reduce or negate any product fees, results in the lowest repayments over the terms of the deals. Over two years, our numbers suggest this would to around a £220 saving, but over five years the difference is much bigger – the gap between the cheapest and most expensive deal is almost £2,000. How do these 95% mortgage deals compare? Tesco Bank claims that its latest range of deals make it highly competitive, but does the bank top the tables for 95% mortgages? Almost. Over two years, building societies dominate, while Tesco Bank’s cheapest deal sits just outside the top 10, according to data from Moneyfacts. Loughborough Building Society and Marsden Building Society both offer two-year deals at 2.79%. Loughborough charges a £999 fee, while Marsden charges a booking fee of £299 and an arrangement fee equivalent to 0.5% of the loan. Of the high-street lenders, Halifax offers a slightly cheaper deal than Tesco Bank, charging 2.92%. This, however, comes with a huge £1,499 product fee. Over five years, Tesco Bank’s lowest-rate deal is indeed one of the cheapest. The lowest comes from Cumberland Building Society, which charges just 2.66% and an arrangement fee of £199 – but the deal is only available when a family member provides their Cumberland savings as additional security. 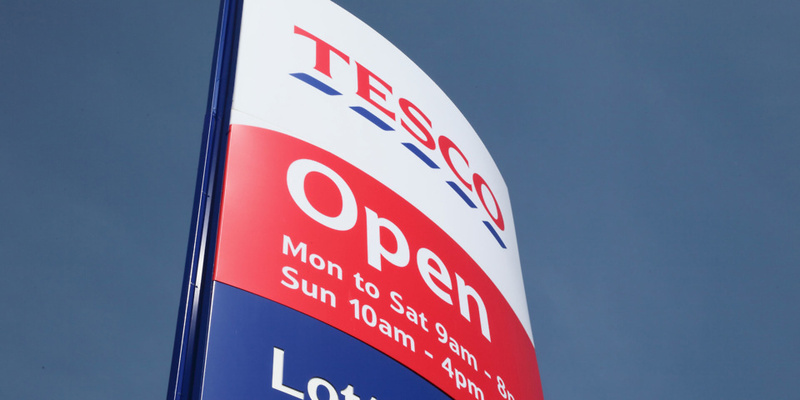 Tesco’s cheapest five-year deal is matched only by challenger bank Atom Bank, which charges no fees. What about the Clubcard points? If you have a mortgage with Tesco Bank, you get one Clubcard point for every £4 spent on monthly repayments and any regular or lump sum overpayment. Clubcard points aren’t payable on any fees or charges paid separately from your mortgage. So, how many points would you get for Tesco Bank’s mortgage deals? A 95% mortgage is a deal offered to people who only have a 5% deposit to put towards a property, and have to take a loan worth 95% of the property’s value. There are hundreds of products on the market for this group of borrowers, which means plenty of options for people with small deposits. However, you will usually be charged a higher rate of interest than if you were putting up a bigger deposit, because the lender sees you as a riskier borrower. You’re taking out a bigger loan, which means higher monthly mortgage repayments than someone with a larger deposit, and you’re at greater risk of negative equity (when your loan exceeds the value of your home) if your home falls in value. Lenders tend to be stricter with their affordability assessments for 95% borrowers, and prefer to lend to those with a clean credit history. Find out more in our guide to 95% mortgages. Our tool can help you estimate how much you could borrow with a 95% mortgage. If you’ve got a small deposit and are looking to buy a home, it’s well worth taking professional advice. Call Which? Mortgage Advisers on 0800 197 8461 for a free consultation, or fill in the form below for a call back.